the leader in hard contents restoration in North Carolina & Eastern U.S.
We help policy holders navigate through the claims process and ensure their belongings are handled with the utmost care. Our staff allows the contractor and their employees to stay focused on what they do best – mitigation and structural repairs. We recognize the challenges claims adjusters face, and have adapted our services to assist their process. When water or fire strikes, you can trust the leaders in content restoration. 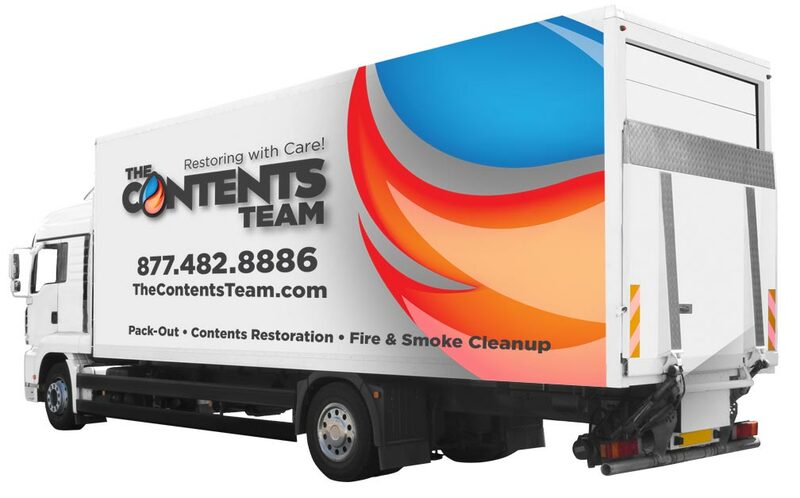 The Contents Team is a state-of-the-art contents restoration and cleaning company serving the insurance industry, restoration contractors and commercial clients throughout the southeastern United States. We provide quality service supported by complete compassion and the utmost in professionalism. The Contents Team restores electronics, furniture, photographs, artwork, china and more for a fraction of the cost of replacement. Our purpose is to minimize the pain of your loss and help you recover from a tragedy by saving as many of your precious items and memories as we can. Whether damaged by fire, smoke, water, mold, asbestos or grunge, our cutting-edge equipment and techniques work wonders to preserve prized possessions while saving money for our clients. We also offer cleanup and removal services for homes and offices with fire and water damages. When misfortune strikes, we come to the rescue. Why choose the contents team? Our friendly and experienced team members are all seasoned restoration professionals with a minimum of 5 years’ experience in the restoration industry. We understand the devastation of losing precious memories and possessions, and are dedicated to providing you quality service with professionalism and compassion. Client losses come in an infinite variety of sizes, severity, accessibility, scope and volume of contents, but we have the experience and flexibility to handle every job. "When disaster strikes, it is so comforting to know that folks like you and your company are just a phone call away. They did an excellent job and I will assure you I don’t impress easily. They went above and beyond and I would only assume the reason is because of the customer service training that you have instilled in them through the years. Thanks again and I will never forget your contribution to getting my life back to normal. I appreciate you and your staff more than I can put into words." "I just cannot say enough about how your team made my situation easier. This was not something anyone can predict or plan for. And emotions seem to rule the day sometimes. Your entire crew was a very calming factor in a mass of chaos. Thank you again for everything your company did to make my life easier."